CROSS, W. C., Private, R.A.S.C. (M.T.) Volunteering in August 1915, he served in his Corps at various centres near London. He rendered valuable services, but was not successful in obtaining his transfer overseas before the cessation of hostilities, and after doing much valuable transport work at home, was demobilised in July 1919. 42, Barlborough Street, New Cross, S.E.14. CROSSE, E. J., Sergt., R.A.F. He volunteered in October 1915, and after his training served at various stations on important duties, which necessitated a high degree of technical skill. He was not successful in obtaining a transfer abroad, but, nevertheless, rendered valuable services with his Squadron until March 1919, when he was demobilised. CROSSKEY, E., Rifleman, Rifle Brigade. Joining in January 1917, he proceeded to France in the same year, and took part in many operations acting as stretcher bearer. Being wounded in the Battle of Ypres (III), he was invalided to England, and on recovery transferred to Salonika, where he served through all the final operations until sent home suffering from malarial fever. Demobilised in March 1919, he holds the General Service and Victory Medals. 17, Cornick Street, Rotherhithe, S.E.16. CROSSLEY, A., Private, Buffs (East Kent Regt.) After volunteering in 1914, he was drafted to France in the next year, and saw heavy fighting in the Ypres sector, on the Somme, and at Arras, in the course of which he was wounded, and also suffered badly from trench feet. Notwithstanding, he served through to the end of the war, and being demobilised in 1919, holds the 1914-15 Star, and the General Service and Victory Medals. 10, Flaron Street, Greenwich, S.E.10. CROSSLEY, C., Private, 51st Bedfordshire Regt. After six months in the Merchant Service engaged in bringing Australian troops to England, he joined the Army in April 1918, and after training was sent to the Army of Occupation on the Rhine in December of the same year. Here he was employed on guard and outpost duties of various kinds until his demobilisation in November 1919. He holds the General Service and Mercantile Marine War Medals. 79, Stuart Road, Peckham, S.E.15. CROSWELLER, F. (Mrs.), Special War Worker. This lady volunteered at the commencement of hostilities for work of National importance, and after making shirts for the Army, was most usefully employed on munitions at Woolwich Arsenal, making hand grenades, and filling, packing and loading cartridges for the various fronts. She also collected War Bonds at the Arsenal for eighteen months. 5, Knoyle Street, New Cross, S.E.14. CROSWELLER, V. E. (Miss), Special War Worker. This lady having volunteered for work of National importance at the commencement of hostilities, rendered valuable services as a clerk at Government Offices in different parts of London all through the period of war. She was still serving on the Army and Navy Canteen Board in 1920. CROSWELLER, W. J., Private, 17th Middlesex Regt. and Labour Corps. After volunteering in September 1915, he was drafted to France in the following January, and was in engagements on the Somme, at Arras, in the Ypres sector, and in the Battle of Cambrai. 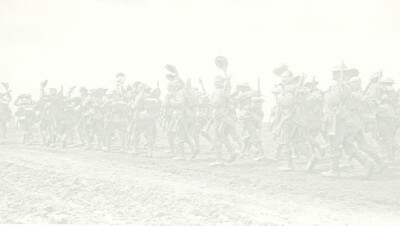 He also took part in the Retreat and Advance of 1918, but after being attacked by trench fever and frost-bite, he was transferred to the Labour Corps, in which he completed his service. He was demobilised in January 1919, and holds the General Service and Victory Medals. CROUCH, A., Pte., 2nd Buffs (East Kent Regiment). Volunteering in October 1914, he was drafted to France in the following year, and fought at Hill 60, in the Battle of Ypres (II), and at Festubert, where he was severely wounded. Being sent to hospital in England he was on his recovery, transferred to Egypt, and took part in the Palestine operations, including the capture of Jerusalem. He then in 1918 returned to France, and served through the final operations until the Armistice. Demobilised in January 1919, he holds the 1914-15 Star, and the General Service and Victory Medals. 57, Howbury Road, Peckham, S.E.15. CROUCH, A. E., Private, 20th London Regiment. He joined in March 1916, and after completing his training was engaged at Winchester on important duties with his unit. He rendered valuable services, but was not successful in obtaining his transfer overseas owing to being medically unfit for duty abroad. He was discharged in October 1916. 65, Roan Street, Greenwich, S.E.10. CROUCH, A. W., Leading Stoker, R.N. He was already in the Royal Navy at the outbreak of war, and was posted to H.M.S. "Clio," and sent to the North Sea, where he was engaged on patrol and convoy duties. In 1915 he was transferred to the Irish Sea, and took part in the chasing of enemy submarines. Whilst serving in this area, this vessel was torpedoed, but fortunately he was uninjured. He was demobilised in May 1919, and holds the 1914-15 Star, and the General Service and Victory Medals. CROUCH, A. W., Rifleman, Rifle Brigade. A Reservist he was mobilised on the outbreak of war, and proceeding to France with the Expeditionary Force, fought through the Retreat from Mons and in the great Battles of the Marne and the Aisne, which followed it. Later he was in action at Neuve Chapelle, Ypres, (II), Hill 60, and on the Somme, also at Arras and Messines Ridge. Serving through the Retreat and Advance of 1918 until the Armistice he was demobilised in 1919, and holds the Mons Star, and the General Service and Victory Medals. 2, Loder Street, Peckham, S.E.15. CROUCH, G., Private, 2nd Middlesex Regiment. Having joined in April 1916, he went through a course of training and afterwards was engaged on important duties with his unit. He rendered valuable services, but was not successful in obtaining his transfer to a theatre of war before the cessation of hostilities. He was demobilised in February 1919. CROUCH, W. J., Private, 19th London Regiment. Joining in August 1916, after completing his training, he was engaged at Winchester, in Norfolk and at Croydon, on important duties. He was for some time attached to the Military Police and did excellent work, but was unable to obtain his transfer to a war area before hostilities ceased. He was demobilised in February 1919. 65, Roan Street, Greenwich, S.E.10. CROWDER, H., Bombardier, R.F.A. Volunteering in October 1914, he went through training and proceeded with his Battery to France in August of the next year. He did good service in actions in the Somme sector, and at Vimy Ridge, where he was buried by a fall of earth due to shell-fire but was rescued, and subsequently sent to hospital suffering from lung trouble and frozen feet, which resulted in his discharge in May 1917 as unfit for further service. He holds the 1914-15 Star, and the General Service and Victory Medals. 37, Costa Street, Peckham, S.E.15. CROWHURST, H. W., Gunner, R.F.A. Joining in January 1917, he proceeded with his Battery to France in the following August and did good service as a Signaller in many engagements, including Cambrai I. In the Retreat of 1918 he was severely wounded near St. Quentin on March 22nd, and being sent to hospital in England, was under treatment for some months. He was eventually demobilised in June 1919, and holds the General Service and Victory Medals. 152, Commercial Road, Peckham, S.E.15. CROWHURST, J. H., Air Mec., R.A.F. (late R.F.C.) Volunteering in November 1915, he served at many different stations in the United Kingdom. He was not successful In obtaining his transfer overseas, but rendered good services at home in connection with the construction and repair of airships and balloons. He was demobilised in April 1919. 8, Briant Street, Peckham, S.E.15. CROWHURST, W., Gunner, R.F.A. After volunteering in March 1915, he proceeded with his Battery to France in the same year, and did good service in actions at Ypres, where he was gassed, at Loos, on the Somme, at Arras and Cambrai. He also took part in the Retreat and Advance of 1918, during which he was twice wounded, and was finally demobilised in April 1919, holding the 1914-15 Star, and the General Service and Victory Medals. 90, Drummond Road, Rotherhithe, S.E.16. CROWLEY, C., Private, Suffolk Regiment. Being under military age for service during the war, he joined in August 1919, after doing work with the Territorials, and proceeded in the following November to India, where he was still serving in 1920. 2, Brooker's Cottages, Elgar Street, Rotherhithe, S.E.16. CROWLEY, J., C.S.M., Q.O. (R. West Kent Regt.) Mobilised as a Reservist on the outbreak of war he was sent to Salonika in 1915 and took part in the operations on that Front until the end of 1917, when he was transferred to France, and served in the Retreat and Advance of 1918. During the latter, on August 25th, he gave his life for King and Country, and was entitled to the 1914-15 Star, and the General Service and Victory Medals. 2, Brooker's Cottages, EIgar Street, Rotherhithe, S.E.16.